A statistics chart shows that from reports by the FBI, there are approximately 2,222,196 burglaries that occur annually in the United States. That’s over 6,000 home robberies a day! We can learn a lot about home security from this information. 28 percent of burglaries involve people at home. Nearly 1 in 3 Americans have already been the victim of a crime. 79 percent of burglars use a first floor window or door to enter a residence. Burglaries of residential properties accounted for 72.6 percent of all burglary offenses. and the remainder (6.5 percent) were forcible entry attempts. The statistics are not meant to scare you but to give you awareness. These are facts and whether we like it or not we must protect ourselves from the statistics and look further into home security. They are not just numbers on a page. These are about people that have been robbed. 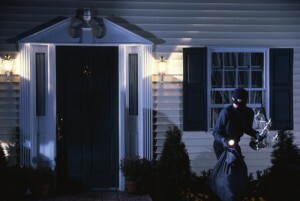 Now, what can we do to prevent you from being one of those 6,000 people a day that fall victim to a home robbery? Fingerprint door locks are an easy step to take to prevent home invasions and add home security. Have you ever laid in bed and tried to remember if you locked the front door on your way in or if you ever got the spare key back from the house sitter when you went on vacation? With our fingerprint door locks, it will always lock right behind you and you don’t have to worry about who had the spare key last. Best of all, the entrance into your home is only one touch away, which means no hassling with keys! The convenience of deleting users is quick and easy too! Keeping the doors locked and secured gives your home an extra boost of security and means you’re not taking steps to ensure your home and family do not fall victim of a home invasion. Remember, 32.6 percent of the 2,222,196 annually burglaries were “without forced” entries, meaning one way or another the burglar had gained access to a key.